1. It had been a very busy week for me. So busy I did not have time to blog about my visit to Taal Volcano in the Philippines last January. I also had no time to blog hop. Hopefully my schedule next week would be less tight! But some people told me being busy is good! Really? I think I need a break! 2. I have started an online newspaper called The Panda Daily. Read it HERE. OK, it's not really a newspaper but simply a collection of my tweets and the tweets of people I follow on Twitter in newspaper form. Haha! 3. Have you done your Income Tax? I have not even started thinking about it! I am just too lazy! I hope to get working on it next week but knowing how well I procrastinate, I may just postpone it to the very last minute. 4. I have eaten at OldTown, GeorgeTown and OldTaste. Have you? I can't believe that both GeorgeTown and OldTaste are exact copycats of OldTown right down to the interiors and menus! As they say, imitation is the sincerest form of flattery. 5. 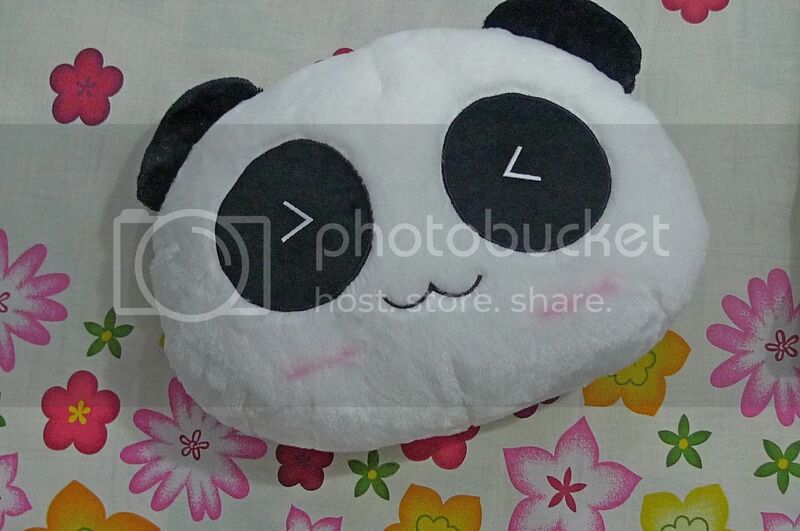 Remember the panda head Eric Lee gave me for my Christmas gift last year? IT IS GONE!!! Why gone? Well, my mom gave it away to my sister's children as she thought I was too old to play with it! Now I can't take a photo of myself hiding behind this panda head! Boohoo! 6. 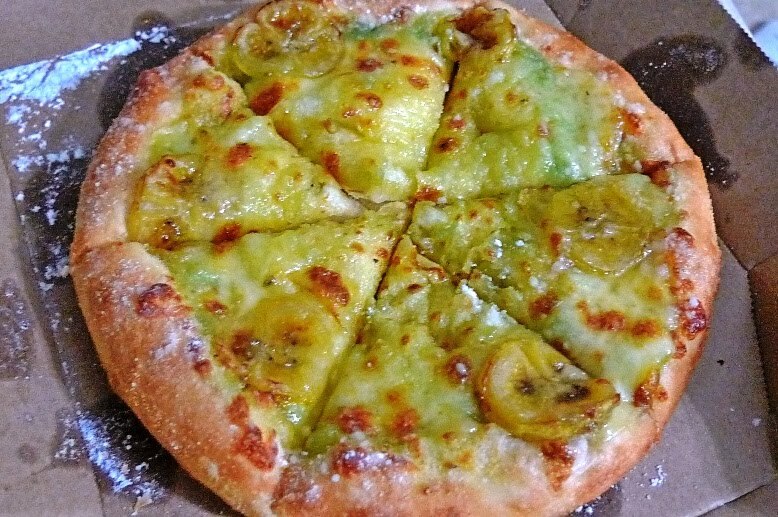 Have you eaten the banana kaya dessert from Domino's Pizza? I found it pretty good with banana slices, pandan kaya, topped with cheese and sprinkled with icing sugar! Not exactly healthy, but what the heck! 7. 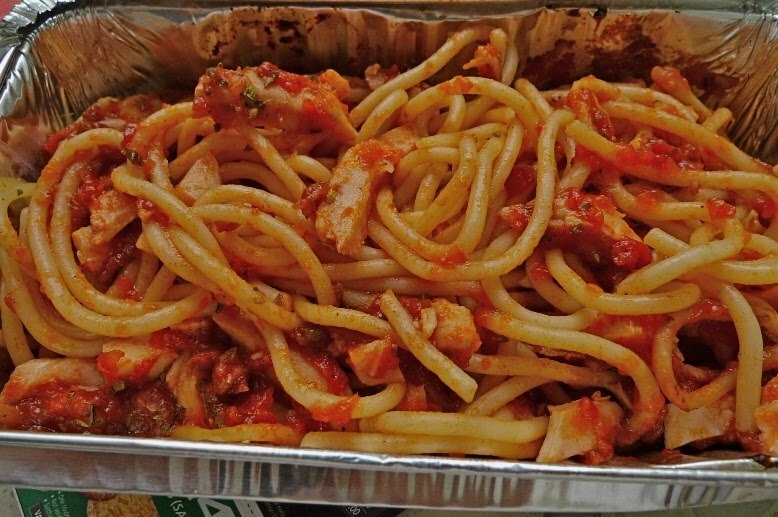 Last week, I ordered a spaghetti bolognese from Domino's Delivery. But they refused to deliver unless I order a pizza! So I ended up ordering a personal pizza and a spaghetti bolognese plus a banana kaya dessert! Am I greedy or what?! Their strategy worked! Dammit! 8. I like listening to all types of music including Malay music! I am a fan of Sean Ghazi and this is quite an amusing song sung by him, with Ida Nerina as Mary and Adibah Noor as the wife. If not mistaken, I think this song was originally written and sung by the late P. Ramlee. Have a listen! Enjoy and have a great weekend everyone! I perang besar you see! Benjolnya dekat sini you sudah tak nampak! Sudah tentu I kiss the girl bertalu-talu! Saya tak malu, terus menjerit! Wife you juga cemburu jadi what will you do?